Does having a gummy smile bother you? Gingivectomy, commonly referred to as gum lift, is the procedure performed by cosmetic dentists to reshape the patient’s gums. 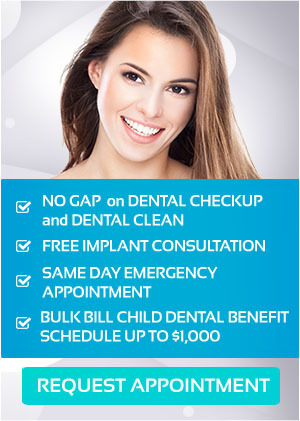 The goal is to provide you with a more visually, appealing smile. If you have a gummy smile, a gum lift is the perfect cosmetic dental procedure to choose. While some people have sufficient gum tissue on their teeth, others have excessive or uneven. Too exposed and uneven gums can affect your teeth and your smile. If this problem affects your confidence, you can get rid of your gummy smile with a gum lift in Mernda. There are various reasons why a patient may need to undergo the gum lift procedure. Some of these reasons include gums that didn’t recede properly when the permanent teeth broke through the gums or gums that receded too much exposing more tooth surface than you would like to show. Generally, the most common reason is either you have a toothy smile or a gummy smile. Others consult their cosmetic dentist because they are simply not happy with their smile and they want their gums to be contoured and reshaped. In most cases, this procedure is only performed on the front teeth because only these parts affects your smile’s visual appearance and are the most noticeable than any other teeth. A gum lift improves the overall appearance of your smile. To make your teeth appear longer and more pleasing, the excess gum tissues will be taken off and even up the asymmetrical gum line, which is quite unpleasant to see. Gum lift is one of the popular cosmetic dental procedures that can help you get the most captivating smile ever. It is usually done on the front teeth because this part is the most visible whenever you talk or show off your smile. Gum lift can also be used together with other cosmetic dental treatments for that total smile makeover. Though it’s a famous cosmetic dental treatment, gum lift is not only used to enhance one’s smile. The procedure was first used to solve the widespread problem of gum disease. The procedure can help you inhibit the bacteria in your gums that lead to gingivitis and periodontitis. Therefore, this protects you from oral health problems (such as bad breath, tooth decay, missing teeth, and dental bone loss) that may develop as a result of gum disease. The greatest advantage of a gum lift procedure is its permanence, which means its effects are stable and constant. Your teeth and gums are sure to stay healthy with proper care and regular dental visits. The latest technology in dentistry makes gum lift a safe, quick and painless procedure. Gum lift involves a minimal amount of time and risk. During the course of the procedure, no discomfort is felt, and recovery from the procedure is fast. After the treatment, you can go back to your usual routine immediately. Your dentist will recommend taking over-the-counter pain medications for a day or two, but you can eat and drink normally throughout the day. Gum lift is a safe and guaranteed solution to gum problems, whether for aesthetic or health reasons. Gum lift doesn’t only deals with dental aesthetic issues, as it also helps uphold your overall oral health. Keep your gums healthy and at the same time, make your smile more pleasing with Gum Lift in Mernda. For more information about the procedure, visit your dental partners today at United Smiles. Our team’s level of work and patient care is first-class. United Smiles offer a wide range of cosmetic dental treatments for all your teeth and smile needs.